Semi-structured without the heavy weight, our sturdy leather brief organizes your daily business needs and gets you there in style. The top zip closure secures your contents. And it’s easy to carry by shoulder or hand. Named after the investigator Sherlock Holmes, robust, rugged, ready for adventure, the Holmes briefcase is your loyal companion. An alternative to the classical business briefcase, it is also ideal for school or work, its large main compartment is big enough to hold everything you need for a trip, a class or business meeting. Classic portfolio type bag made of soft vintage cowhide. 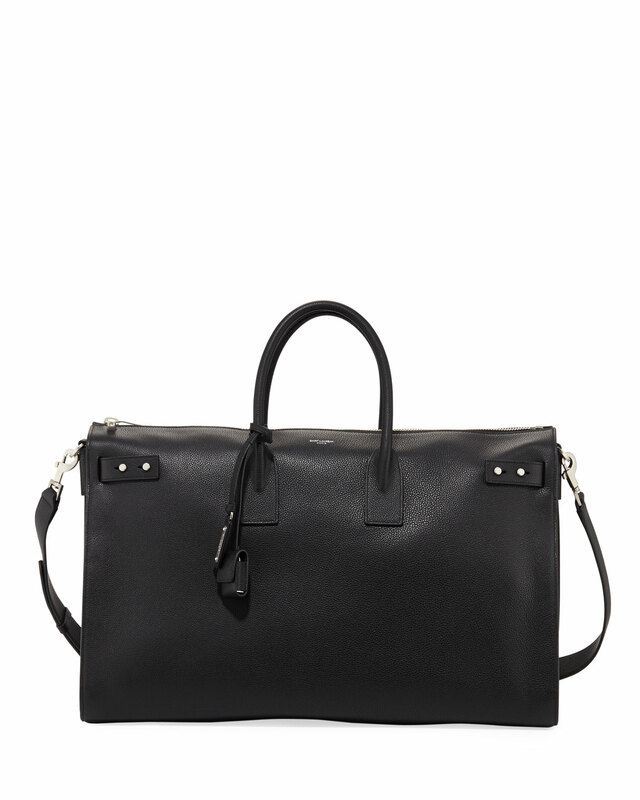 This jet black leather bag is perfect whether your at the office or out for the weekend. Loaded with inner and outer pockets to carry your netbook, iPad, phone, wallet, keys and more. 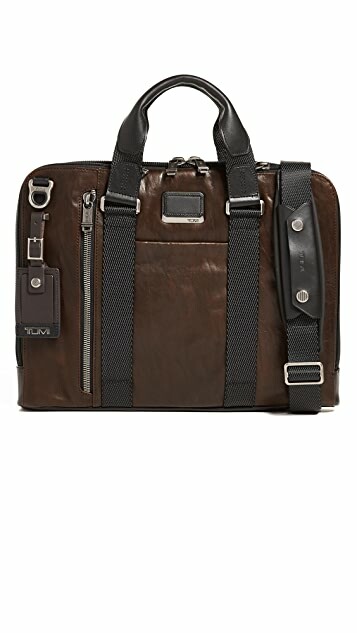 Desiged for men on the go, this bag is the new “modern classic” througout Europe and Asia. 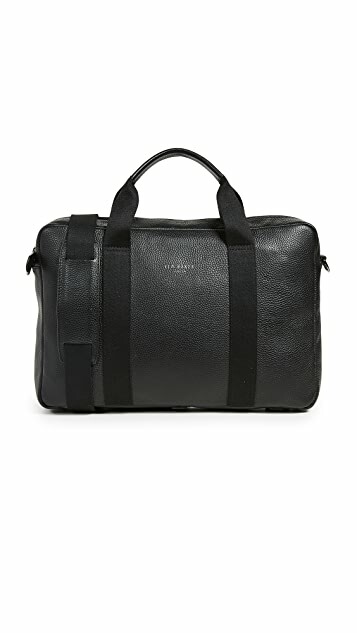 Structured plastic messenger bag in black. Tonal plastic accent and carry handle with detachable yellow leather trim at top. Detachable and adjustable tonal logo webbing shoulder strap with lanyard clasp fastening. Logo patch at face. Bumper studs at base. Twin flip-clasp fastenings at hinged opening. Expansion panels and logo patch at interior. Tonal suede lining. Silver-tone hardware. Tonal stitching. Approx. 8.5″ length x 6″ height x 4.25″ width. 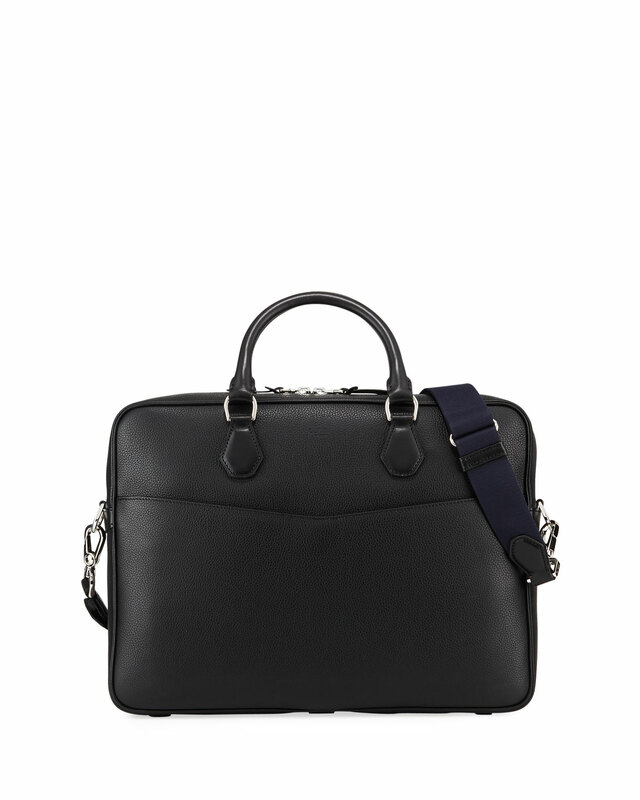 dunhill document case in textured calfskin leather. Rolled top handles; removable, adjustable web shoulder strap. Double two-way zip-around top closure. Interior, slip and zip pockets and laptop sleeve. Approx. 11.4″H x 15.7″W x 2.7″D.